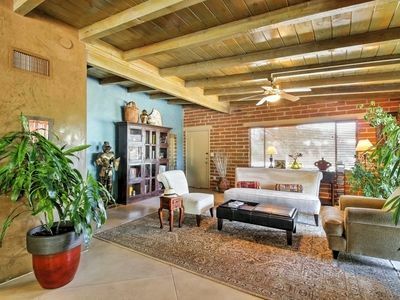 Dog-Friendly Tucson Townhome w/ Pool Access! 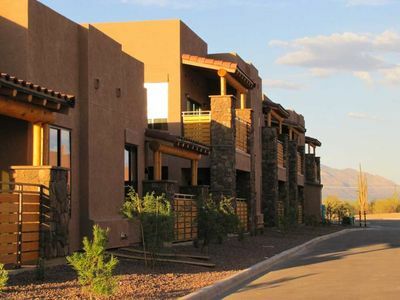 This lovely townhome is located in a small gated community in the north-central area of Tucson. 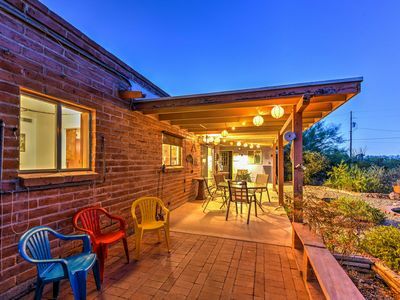 You'll be close to everything you could hope for, from fabulous restaurants and shops to the Tucson Racquet Club and downtown fun! Enjoy access to the community pool for a refreshing dip in the summer or a soothing soak in the winter. 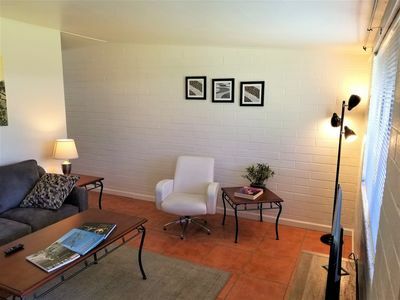 The 2-bedroom, 2-bath vacation rental in Winterhaven Village is the perfect Arizona respite for up to 6 guests. 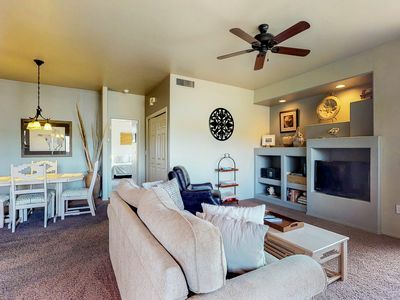 You'll find all the comforts of home and more in this well-appointed 1,223-square-foot unit. 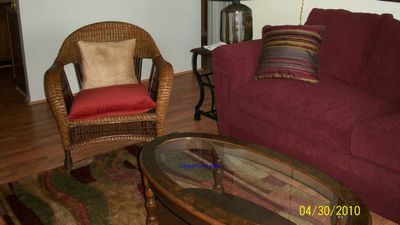 The townhouse was recently remodeled and decorated in bright, cheerful and happy colors. 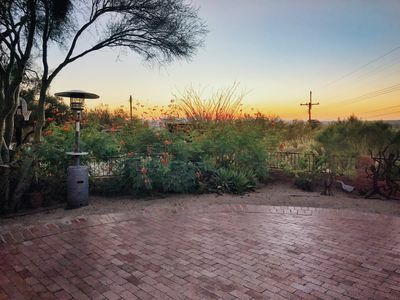 Enjoy Arizona's year-round warm weather on the private patio. There is cushioned seating in a shady area, or you can dine al fresco under the shade of an umbrella. 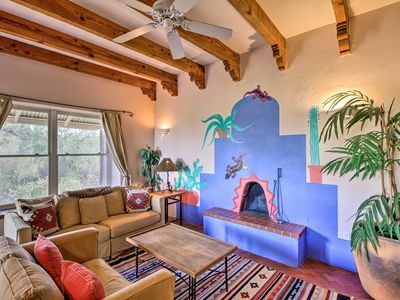 Come evening, bring our your cocktails and fire up the kiva. 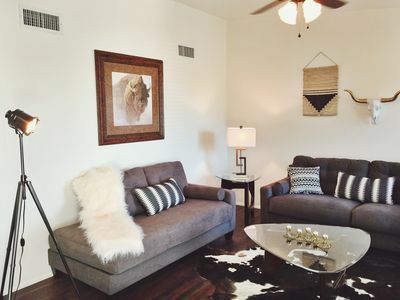 Back inside, you'll find all the modern amenities you're used to at home, including 3 flat-screen TVs located in each bedroom and the living room, wireless internet access, a fully equipped kitchen and much more. Speaking of the kitchen, feel free to prepare all of your favorite meals while away! 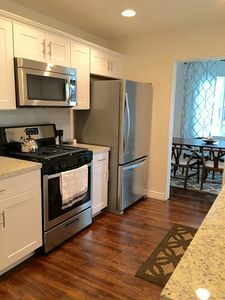 Turn on some music and utilize the stainless steel appliances to host dinner. During your stay, you're even welcome to bring your dogs along - dog bowls and a water bowl are provided free of charge! All you need to bring is a leash. When you're not enjoying the community pool, make the most of your stay by exploring the area! 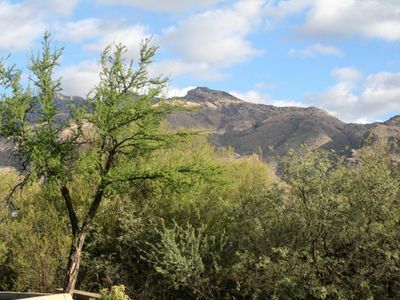 There's something for everyone in Tucson, from shopping and dining to hiking, golfing and so much more. Whether your taste is French, Italian, Mexican or Chinese, you're sure to find something to curb your cravings nearby. Get a stack of grilled cheese at 47 Scott, potato skins at Barrio Brewing Co. or cast iron baked eggs at The Cup Cafe at Hotel Congress. 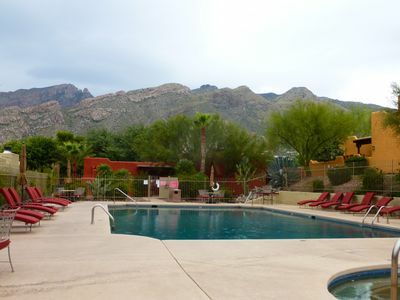 Get your head in the game at the Tucson Racquet & Fitness Club just a 14-minute walk away. 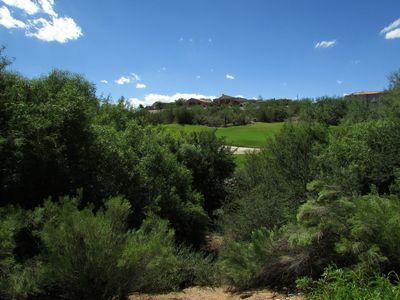 The club offers something for everyone including basketball courts and tennis courts! 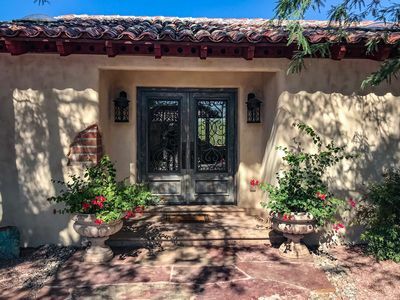 Don't forget to check the festivities in downtown, ideally located just 6.3 miles away. 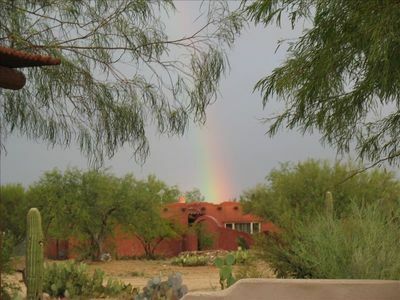 Events include - but aren't limited to - the Tucson Jazz Festival, Tucson Gem and Mineral Show, and the Tucson Fringe Theater Festival! 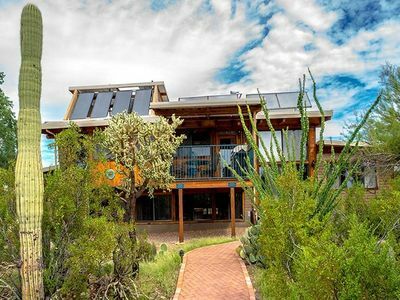 Stunning Solar Home Next to Saguaro National Park - Must See! 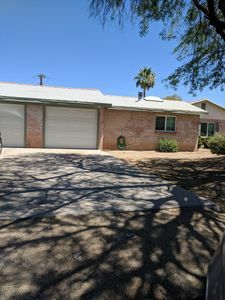 Family-Friendly Bungalow, 4 Blocks East Of The University. Free WiFi. Pets OK. 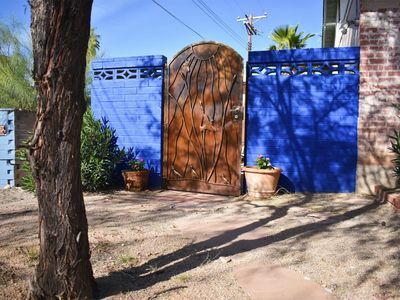 Spacious Tucson Home w/ Lush Yard, Pool & Hot Tub! 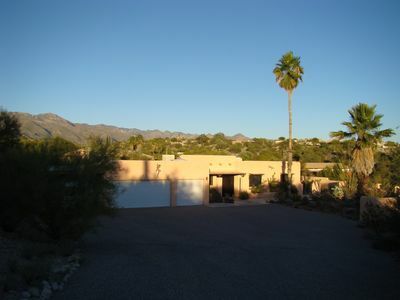 Mtn View Tucson Home on 7 Acres Near Saguaro Park! 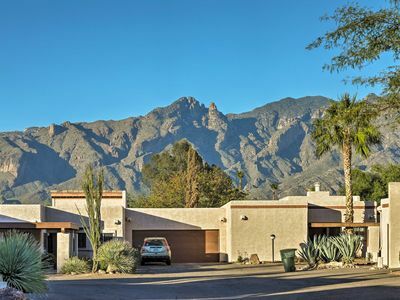 ‘El Diamonte’ Tucson Home w/ Mtn Views & Jacuzzi! 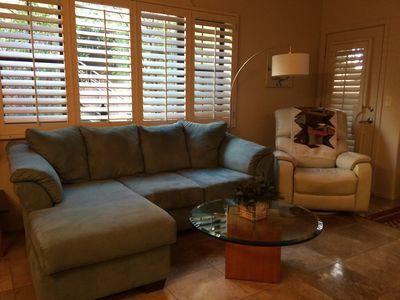 Luxury Clothing Optional / Nudist 2BR - 2BA Condo, Fantastic Views!